I have a four-year university degree and studied plant science. As of now, I have only made $40 by doing work that relates to plants. My last job I worked in sales. Many recent graduates don’t work in the field which they studied. This might be you. Here’s how to find and get a job that doesn’t relate to your degree. After I graduated, I realized I didn’t have any real-world skills. The only skill I got from my university was a statistical software that not many companies use. I then thought about everything that I learned outside of the classroom; the freelance projects, internships, student organizations, and part-time jobs. From these experiences I wrote down a long list of talents I had. This is the first step to finding a job, knowing your skills. There are many skills I didn’t realize I had. Being in a fraternity, I had gotten really good at brother recruitment, which is basically sales. My time and experience campaigning for local politicians and talking to voters also added to my sales skills. 1. What is something that I’ve done for a year or more? 2. What were the main activities of that experience? 3. How can I apply and market these activities to help me get a job? 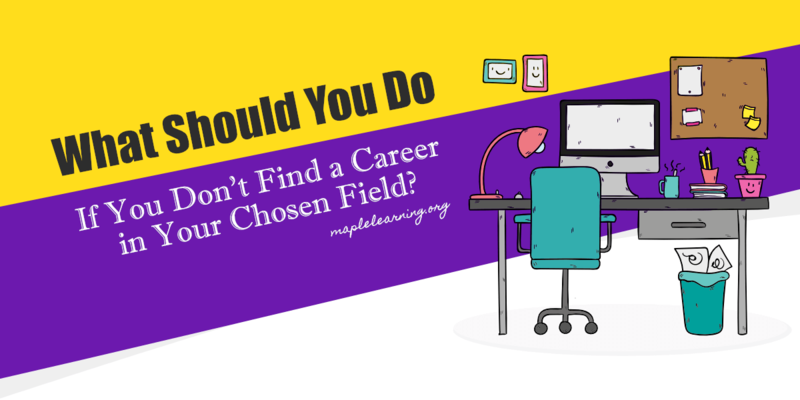 There are many jobs which I have seen posted on job boards were employers don’t really care what your degree you have, but they do care about experiences, interests, and skills. Employers want to know, can you do the job? You have to show them that you have a history of success in that particular area and you know what you’re doing. Afters skills employers are also looking for characteristics. How can you show characteristics on your resume? A former professor told me they hired a lab technician even though they had no experience working in a biology lab. Why did they get the job? Because the person was trustworthy. How did the professor know that they were trustworthy? Their former job had cash handling experience. The cashier position and a call to the former manager gave that student the technical position. You may not realize it but things that you’ve already done a show to your character. One example is the ability to finish something. Having a degree shows that you finished. Some employers are just looking for someone who can complete tasks and having a degree demonstrates that you can complete tasks. Employers are looking for couple years experience if you don’t have that then be creative. Highlight your skills and experiences that match with responsibilities of the job to fill that requirement. Something else to consider when applying for jobs is who are you working with. You could work with customers, or on a team. What experiences have you had with working with these different people? If you were in theater performance working with crowds might be ok. That hotel job shows you have customer service experience. If you’re an athlete your experience of training and being on a team can help with teamwork. Who you work for can also mean working with people from other places. More and more employers are looking for another trait: world experience. Customers and business partners have all sorts of backgrounds and being able to understand someone else’s culture while doing business is becoming a critical part of a company in the global economy. Being able to show that you speak another language, have traveled to other countries, or minored in another culture might be that edge that gets you the job. To get the job, you might need to network. How involved are you in local organizations? Networking at a local chamber of business event you might meet your future employer. Before I got the sales position, I was living in my hometown I had one part-time job and was freelancing with web design both those opportunities came to me because I personally knew who I was working with one was a former professor and the other was a family friend. How can you network? How can you use your current network to get you a job? When I interviewed for the sales job, I made sure to highlight and discuss my experiences and skills. Although they were not exactly sales jobs, I talked about how they could apply for the job and give examples of my skills in selling. Before your interview, think about a few examples that show how amazing you are at your relevant skill. Now you are ready to get that job. List your skills, experience, who you worked with, and world experiences. Now you have an idea of what job to apply for, network to find that job. Once you see an opportunity tell them how your experiences aline with their needs. Highly analytical with the ability to apply analytic to solve problems. I have a Bachelor’s degree from Penn State. Bachelors in Science, Horticulture and a minor in biology. While in college I was a local elected official, active in clubs, board member in my fraternity, and created many brands and websites.